When breakfast time rolled around, I was feeling inspired to get in the kitchen and create. No recipe, no plan, just my favorite kind of stress-free cooking: pulling ingredients out & adding things as I went. Changing up my plan as it came together. The result was something I've had on my mind for a while now~ pancake batter baked into a dish and sliced up like a pie. Served hot, and drizzled with maple syrup... heavenly! 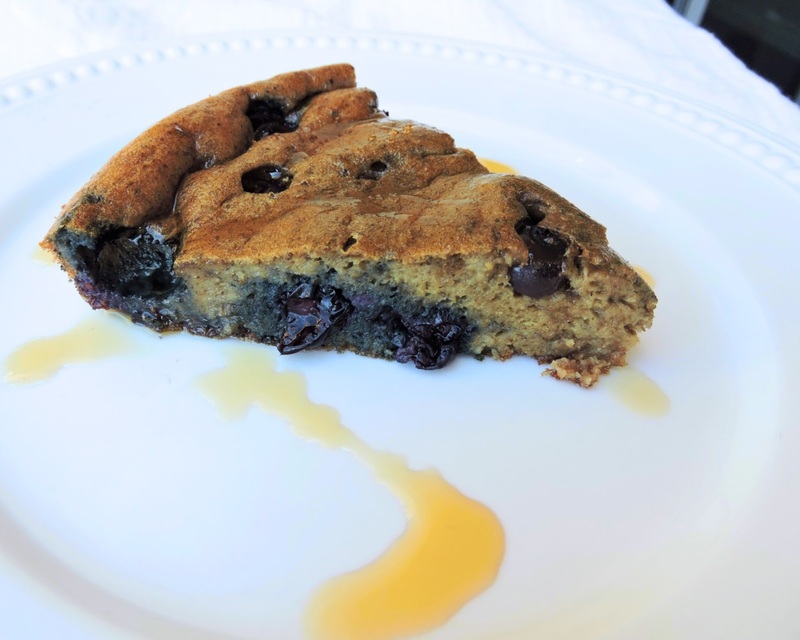 It turned out even better than imagined, and the ingredients are awesome. Nutrient dense, clean, and simple. 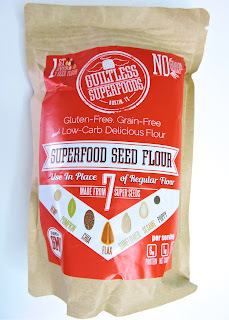 I used this 7 Seed Flour from Guiltless Superfoods~ a brand that we discovered at Paleo f(x). I chatted with the owner at her booth for a few minutes & she was sweet as could be. She kindly gifted me a bag of her flour, and I couldn't wait to put it to good use! It's a blend of Chia, Flax, Hemp, Sunflower, Pumpkin, Poppy, and Sesame Seeds. As I expected, a little went a long way~ so half a cup is all I needed for this entire dish. It expanded perfectly, and created an awesomely fluffy, pancake-like texture that we loved. I hope you love it too! 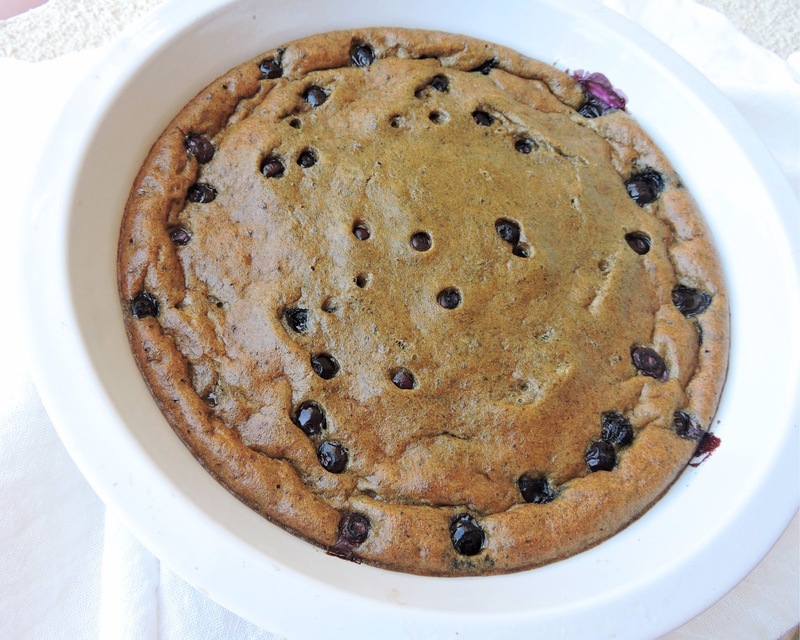 Try this for a relaxing brunch, or make it on a Sunday to enjoy throughout the week. 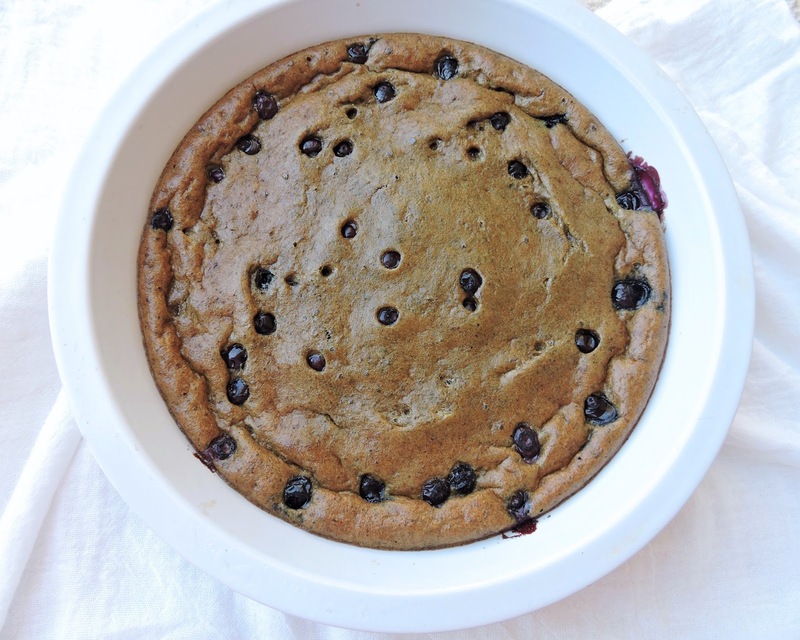 Note: If you don't have this flour yet, but are anxious to try this recipe-- use any other pancake batter recipe, like mine for Three Ingredient Paleo Pancakes, and follow the same method. It's a fun, and much simpler way to enjoy your pancakes! No flipping required. Add all of the ingredients to a blender or food processor, and pulse until smooth. Use a fat of your choice (I used an olive oil spray) to lightly coat the pie dish for a non-stick step. Pour the pancake batter into the pie dish and sprinkle with blueberries. Bake for 25 minutes, remove from the oven, and allow to sit for 5 minutes. Slice & serve hot, drizzled with maple syrup. 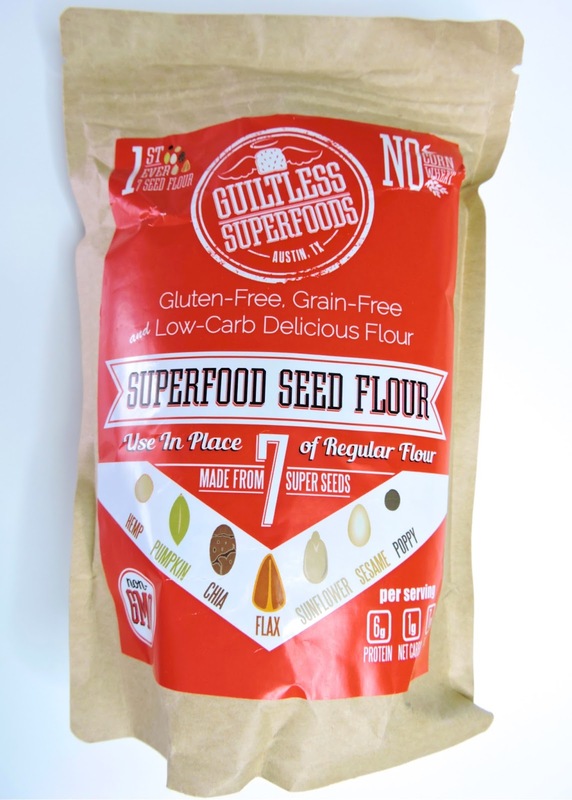 Can you use coconut flour if you don't have the other flours you mention?